You also need to know how well the aggregated service is delivering to your users. And of course outages may be within the terms of the SLA - but they still need to be identified and addressed. Remember that if a vendor stipulates 99.9 percent availability, this still means 8.77 hours downtime per year (plus maintenance windows). As a result, we’re seeing a growth in Cloud Monitoring as a Service (CMaaS) and cloud management services. We’ve also seen the publication of Gartner’s first magic quadrant on the topic: Critical Capabilities for Cloud Management Platforms, which came out in January, indicating that the market is starting to mature. These tools should give full visibility of how well both each individual provider and the overall IT service are performing, pulling together service availability and other performance information from a wide range of sources and suppliers. Some APIs can be queried directly, such as AWS’s Elastic Beanstalk PaaS and Amazon’s CloudWatch services. There are also cloud management tools that do this querying, taking CloudWatch data and using an AWS integration tool based on Microsoft Systems Centre to integrate that data with their own toolset. The same can be done for other public cloud services such as Azure, Office 365, Service Now and Salesforce. Events and other performance statistics consolidated onto a single pane of glass, so you can drill down into each element to find out where the issue is and what may have caused it. The ability to carry out synthetic transactions against defined services and applications, show overall system health, and monitor response times and latency. The ability to monitor traditional in-house environments, plus hosted and private cloud services where agents can be deployed or gateways installed into the monitored environment. CMaaS may also offer integration with your (or your SIAM partner’s) service management toolsets. 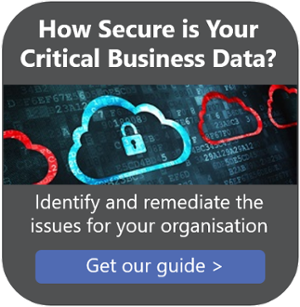 This means that where notifiable events occur or service levels are breached, incidents can be automatically created and uploaded into your existing service management application. We’ve developed our own CMaaS, which provides a high-level overview, showing system status against agreed parameters such as SLA, presented on a simple RAG (red, amber, green) basis. If you’d like more information about cloud monitoring and management, please contact us.